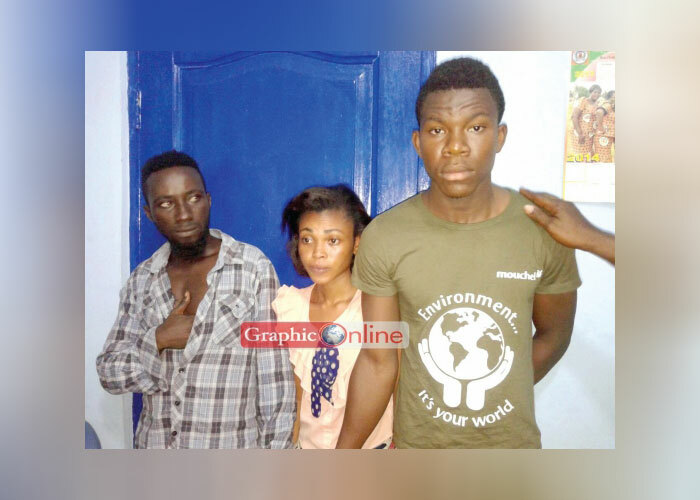 The police have apprehended three persons who were allegedly busily stealing car batteries and various valuables during Saturday night’s gas explosion that killed seven persons at Atomic Junction, Madina, a suburb of Accra. The three, according to reports, took advantage of the stampede that followed the explosion to steal various items, including monies, at the scene. The suspects are Ibrahim Mahama, 23; Yaw Badu, 24 and Abdulai Magid, 30. 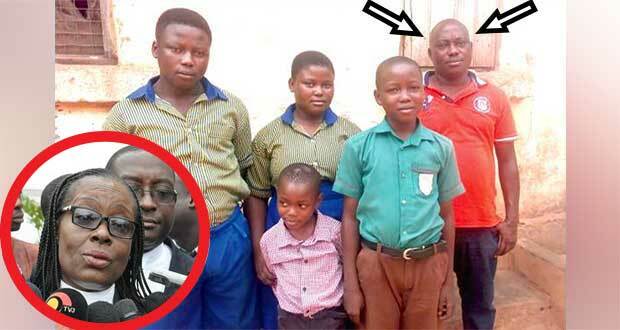 Mahama and Yaw Badu, according to reports, stole gas cylinders, stoves, food items, money and other valuables while Majid was busily removing car batteries of some of the victims who abandoned their vehicles and fled for their lives. 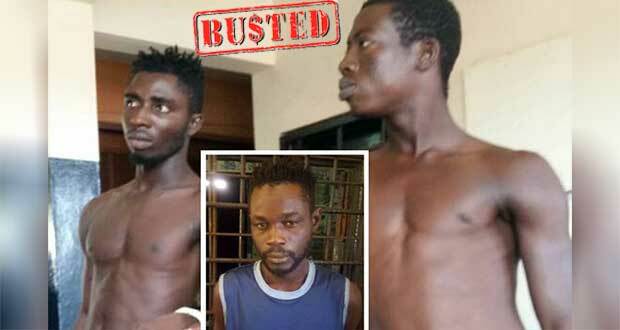 Police have indicated that they grabbed Majid in the act but the two others had transported the items to the Madina market the following Sunday morning and were selling them when the police had a hint of their activity and went to apprehend them. Some of the items were retrieved from the suspects in the course of the arrest. The Accra Regional Police Public Relations Officer, ASP Efia Tenge, told DAILY GUIDE that Majid was detained at the Legon Police station while the two others were locked up at the Madina police station pending investigations. She said the three confessed committing the offence and had provisionally been charged with stealing and would be processed for court. 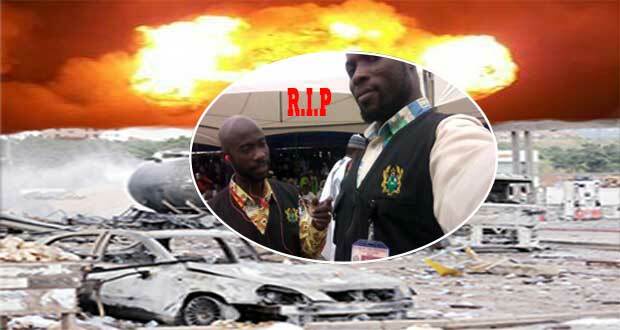 Seven people were confirmed dead with about 132 others injured in the Madina Atomic Junction gas explosion. Two of the deceased were said to have been knocked down by speeding vehicles during the chaotic situation. More than 20 vehicles were also reported to have been burnt by the blaze. Out of the number of persons injured, 64, according to reports, were treated and discharged at the various hospitals while 68 others are still receiving treatment. 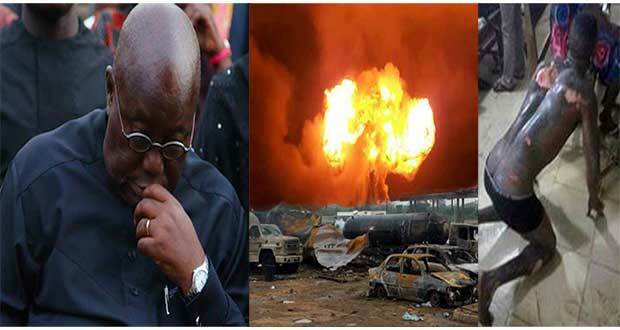 Eyewitnesses’ account indicated that the fire was sighted in areas like Legon, Dome, Achimota and Spintex. Reports have indicated that students of the University of Ghana, University of Professional Studies Accra and the Presbyterian Boys’ Senior High School (PRESEC) had to rush out for safety while others living at Madina Zongo Junction and its environs abandoned their homes for their lives. Billy Anaglatey of the Ghana National Fire Service said the cause of the gas explosion which extended to the Total filling station close by, had not been established yet.